My dear friends, today I would like to draw your atention on the lovely initiative of blog friend Caroline, over at Lille Lykke. She is the owner of this lovely blog and webshop. 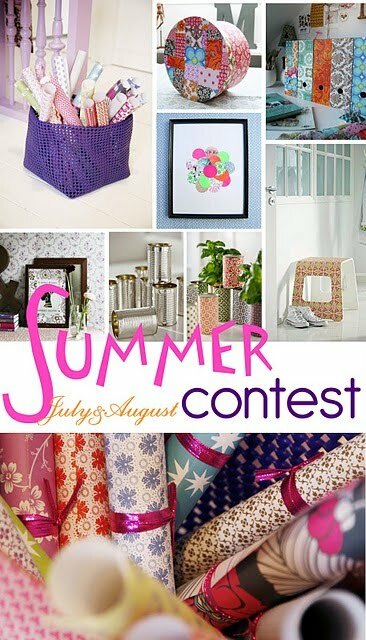 With this summer style contest you can win a set of beautiful Rie Elise Larsen papers! Send her an e-mail with your design photo or description of what you would make with the sheets of paper. The image above showes you some examples like a passepartout for a photo frame, covering tin cans or pimping an IKEA stool.